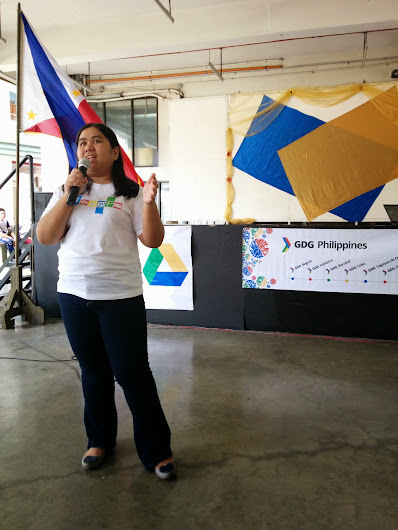 As we count the last days of 2014, let us look back at the events organized by GDG Philippines for the past twelve months of the year. 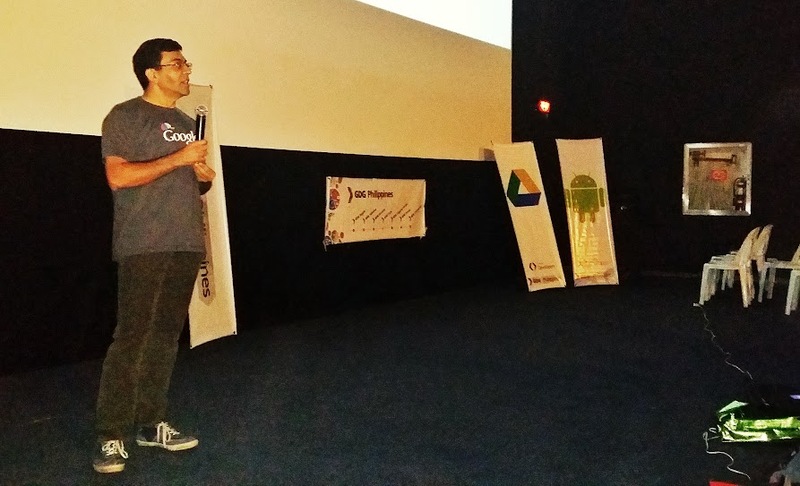 Held last October 24, GDG DevFest Philippines 2014 had more than 472 participants, 7 technical talks, and 8 code labs/workshops. We also set up a booth for Android Wear, Chromecast, and Google Cardboard. Women Techmakers: Manila was held on International Women's Day (March 8). Technical, non-technical and business topics were discussed by 100% women speakers. There were also Dart and Android Code Labs in the afternoon facilitated by women. One hundred eight people attended the event, and more than 80 percent of the participants are women. During the I/O Extended event, more than 80 participants watched the keynote live (It is around twelve midnight in the Philippines). Before the keynote, there was a small program. Next year, we will be conducting Android Fundamentals Study Jam, Polymer Polytechnic, Women Techmakers: Manila, Google I/O 2015 Extended, GDG DevFest Philippines 2015, and meetups and workshops about Android, Android Wear, AngularJS, Go, Polymer, and other Google technologies. For updates on our next events, add GDG Philippines in your Google+ circles. Registration for GDG DevFest Philippines 2014 is now open! What is a DevFest? DevFests are community-organized events that provides the opportunity for developers to learn about Google technologies and developer products. Check out http://devfest.gdgph.org/ to see what happened in our DevFest Philippines events in 2012 and 2013. This year, GDG DevFest Philippines 2014 will be held in De La Salle University. Aside from technical talks, we will be having code labs too. If you are interested to join, check the registration and other details at http://devfest.gdgph.org/. To register, you would need to sign in using your Google+ account. We will be sending confirmation emails in the coming days. We're still finalizing the agenda and the list of speakers! We'll be posting updates on our events site and on our Google+ Page. GDG Philippines has been quite busy the past few days. We had a map up of the Department of Health (September 25), GDG Campus Roadshows in Asia Pacific College (September 27) and UP Diliman (October 4), and a Google Cloud Platform Meetup (October 2) with Melina Lee, Head of Google Cloud Platform Southeast Asia. We still a lot of events in the next few days. Our next big event is GDG DevFest Philippines 2014, which will be on October 24, 2014. DevFests are community-organized events that provides the opportunity for developers to learn about Google technologies and developer products. Registration for GDG DevFest Philippines 2014 will be opened in the next few hours. For updates about our next events, add our Google+ Page in your Google+ circles. GDG DevFest Philippines 2014 is happening soon! Help us plan by filling up our pre-event survey form at https://docs.google.com/forms/d/1yZ6cbp3S05YBIBTWi1Vh5I6LeBNNzPPFUSO_l-4aXgQ/viewform. What is a DevFest? DevFests are community-organized events that provides the opportunity for developers to learn about Google technologies and developer products. Last year, there were six DevFest events in the Philippines, aside from the one in Manila (Bacolod, Cagayan de Oro, Cebu, Cordillera-Baguio, Davao, and Zamboanga). Check out http://devfest.gdgph.org/ to see what happened in our DevFest Philippines events in 2012 and 2013. Add GDG Philippines in your Google+ circles for updates about GDG DevFest Philippines 2014 and our other events. GDG Philippines is organizing a Cardboard Meetup on August 27, 2014 at Jump Experience Center, 4th Floor, Cyberzone, SM Megamall (Bldg. B), Dona Julia Vargas Ave, Ortigas Center. We'll be bringing some of our I/O Cardboards for everyone to try. If you have your own Cardboards, you can bring it too! And if you have created or are currently developing an app for Cardboard, you can share it to everyone. What is Cardboard? Cardboard is a DIY virtual reality viewer. You can make your own Cardboard using the instructions at http://g.co/cardboard. The list of supported Android devices can be found in the FAQ at http://goo.gl/2MzqQa. Add GDG Philippines in your Google+ circles for updates about our other events. 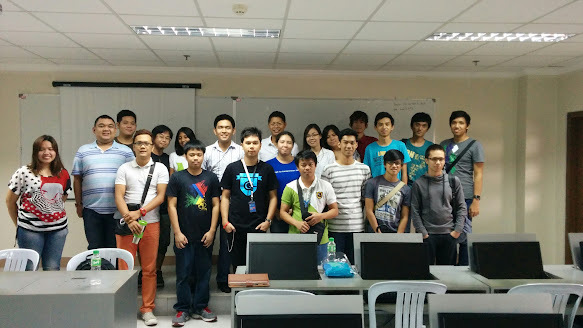 GDG Philippines went to De La Salle University for the GDG-GSA Campus Roadshow on August 16, 2014. We organized two workshops (Google App Engine and Android) in cooperation with the DLSU Google Student Ambassador (GSA) Kimberly Yu. In the morning, we had the Google App Engine Workshop with Joshua Guevarra. The Android Workshop was conducted by Jomar Tigcal in the afternoon. If you are a student and would like to invite GDG Philippines in your school, fill up our event request form at http://eventrequest.gdgph.org You are also welcome to attend any of our events! Add GDG Philippines in your Google+ circles for updates about our next events. 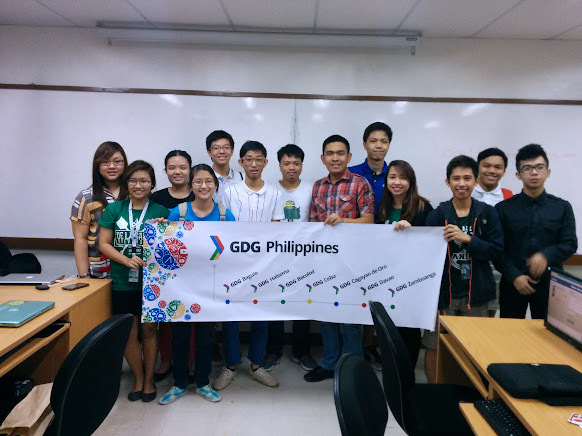 GDG Philippines went to National University for our next GDG Campus Roadshow on August 9, 2014. In the morning, we had talks about GDG Philippines, Google Chrome, Google Apps, and Motivational/IT Career. We also had lightning talks of the topics for the afternoon workshops. There were three simultaneous workshops in the afternoon: Android, Google App Engine, and HTML5 Game Development. 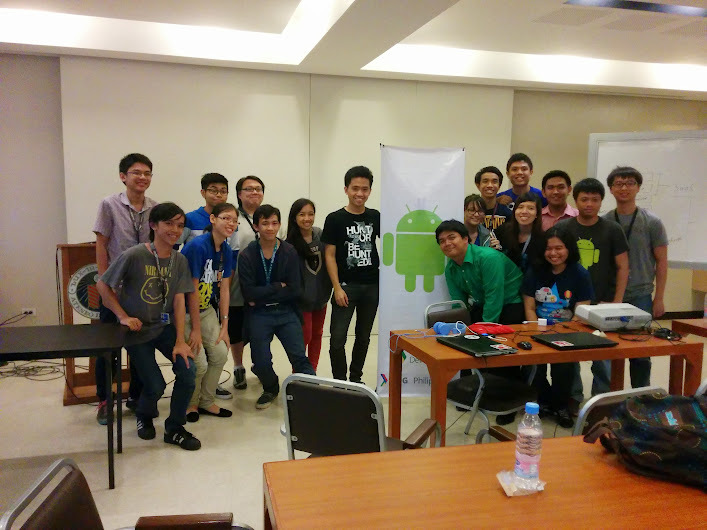 GDG Philippines organized our first Android Wear Workshop on August 2, 2014 in De La Salle University. Most of the attendees of the event came from provinces outside Manila (Antipolo, Rizal and Angeles, Pampanga). We introduced Android Wear and demonstrated the LG G Watch and Samsung Gear Live. After that, the participants went on to do the workshop. For updates on our next events, add GDG Philippines in your Google+ circles. GDG Philippines went to Ateneo de Manila University last July 26 for the GDG Campus Roadshow workshop organized with Cristine Chen, one of the Ateneo Google Student Ambassadors. In the morning, we had the Android Workshop while in the afternoon, we had the Google App Engine Workshop. The workshops started with Wayne Manuel, GDG Philippines community manager, introducing what GDG Philippines is, and Cristine Chen, talking about the Google Student Ambassador program. 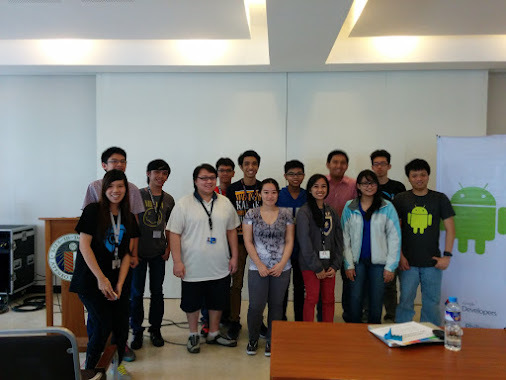 The Android workshop was facilitated by GDG Philippines community manager Jomar Tigcal. He started with a talk about the basics, followed by a hands-on session. After that, the participants started working on their apps. Three participants were able to present apps. In the afternoon, Wayne and Cristine introduced GDG and GSA respectively. 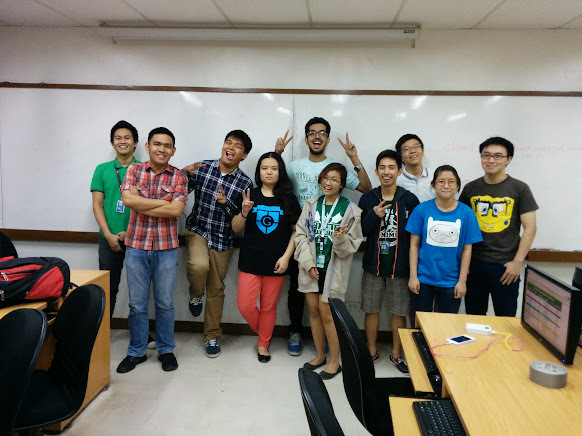 Joshua Guevarra and Christine Balili, new GDGPH community managers, facilitated the App Engine workshop. They talked about the basics, followed by a hands-on session, and another mini-contest. After that, the participants started working on their apps and present them. School openings have started in the last few days and this means it's time once again for GDG Campus Roadshows. We visit different schools and do talks, workshops, and code labs about Google technologies to students. Last school year, we've been to UP Diliman (Android Workshop), De la Salle University (Android Code Lab and MapUp), FEU-Makati (MapUp), UST (Campus Roadshow), UST (Campus Roadhow), MCU (Campus Roadshow), UP Los Baños (Campus Roadshow), and ICCT Colleges- Cainta Campus (Campus Roadshow). Our first event for this school year was in FEU Institute of Technology's event for Student Leaders (July 12). We talked about Google+ and how they can use Google+ and Google+ Events for their student organizations. On July 26, we'll be in Ateneo de Manila University to conduct an Android Workshop and a Google App Engine Workshop. We also have other Campus Roadshows in the next few weeks. Learn more about Chromecast and Google Cast. Chromecast is a thumb-sized media streaming device that plugs into the HDMI port on your TV. Set it up with a simple mobile app, then send your favorite online shows, movies, music and more to your TV using your smartphone, tablet or laptop. Google Cast is a technology that enables multi-screen experiences and lets a user send and control content like video from a small computing device like a phone, tablet, or laptop to a large display device like a television. Join us for a meetup and code lab about Polymer. Polymer is a pioneering library that makes it faster and easier than ever before to build beautiful applications on the web. Polymer is built on top of a set of powerful new web platform primitives called Web Components. Web Components bring unprecedented composability, interoperability, and consumability to the web platform. The result is a monumental increase in developer productivity. Polymer also brings the implementation of Material Design to the web. After returning from Google I/O and our short travel to the US, we organized a Post-Google I/O meetup on July 7. The resource speakers were Wayne Manuel and me. It was held at the Coins.ph office in Centerpoint Building, Ortigas Center, Pasig City. The event was attended by more than 22 participants; some of them have joined the Google I/O 2014 Extended Manila. It was a very informal meetup. We talked about the updates and announcements from I/O. We also demonstrated the Android Wear smart watches (LG G Watch and Samsung Gear Live). The participants also played with the Cardboard. Google I/O 2014 is going to be on June 25-26 at Moscone West in San Francisco. Google I/O is Google's annual developer conference, where they share the latest products and technologies. If you won't be able to go to San Francisco to attend I/O, you can watch the sessions live from the website or you can attend one of the I/O Extended events. In the Philippines, the Google Developer Groups are organizing I/O Extended events in Manila, Baguio, Bacolod, Cebu, Cagayan de Oro, Davao, Nueva Ecija, and Zamboanga. The event schedule can be found at https://www.google.com/events/io/schedule. You can also download the official Android app on Google Play Store. 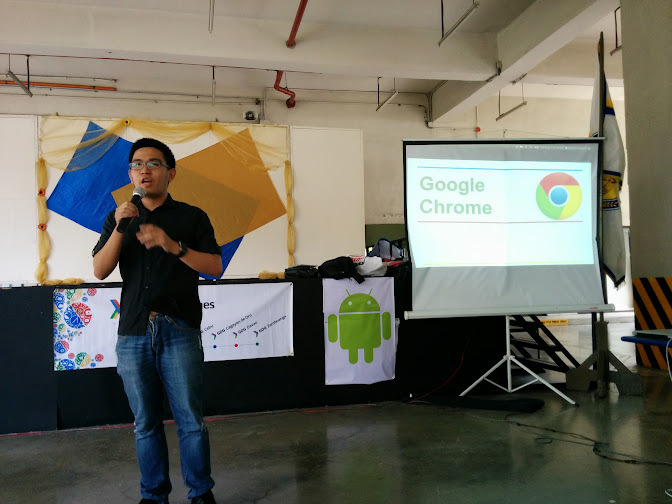 GDG Philippines and GBG Angeles organized a developer meetup in Angeles City, Pampanga on June 7. The developer meetup was held at SJH Building in Holy Angel University for the event. Jomar Tigcal talked about Google Developer Groups (GDGs) and GDG Philippines. Lars Norlander, a GSA from Angeles University Foundation also gave a talk about the Google Student Ambassador (GSA) Program and his experience in the GSA South East Asia Summit last May. Wayne Manuel talked about Google Maps, Google Maps APIs, and Google Map Maker. After the talks, the participants had hands-on mapping. GDG Philippines was a part of the 1st Philippine Techcamp: Disaster Risk Reduction and Resilience Building (May 5-6) and the 1st Philippine Techcamp Hackathon (May 9-10). GDG Philippines helped invite technologists and mentors. We also supported the Open Data's Readysaster: Hack for Resilience Briefing (May 2) and the actual Readysaster Hackathon (May 10-11). During the briefing and the hackathon, GDG Philippines had a talk about Google Maps APIs that they can use in developing their apps. We also had a few hours of consultation wherein participants asked about various Google technologies they are using or are planning to use. GDG Philippines also organized Google Cloud Platform Days this month. On May 17, participants learned more about Google App Engine and Cloud Datastore while on May 24, the topics were Google Compute Engine and Cloud SQL. There were talks in the morning and workshops in the afternoon. Next month, GDG Philippines is organizing another Google I/O Extended Manila event. Details about this event (like exact venue and registration) will be announced in the coming days in the Google+ events page and on our Google+ page . Can't go to San Francisco to attend Google I/O? Get the I/O experience by attending Google I/O Extended events being organized by Google Developers Group worldwide. The Manila I/O Extended event will be held in Makati on June 25-26. Aside from watching the keynote and sessions live, we'll also have a short program before the keynote. Take the awesome opportunity to connect with other local talented developers and watch the keynote and other sessions live. We'll be announcing the venue, registration form, and other details in the next few days. For updates, add GDG Philippines in your Google+ circles. Other I/O Extended events in the Philippines will be in Baguio, Bacolod, Cebu, Cagayan de Oro, Davao, Nueva Ecija, and Zamboanga. GDG Philippines is organizing Google Cloud Platform Days this month. On May 17, participants can learn more about Google App Engine and Cloud Datastore while on May 24, the topics will be Google Compute Engine and Cloud SQL. There will be talks in the morning and workshop in the afternoon. 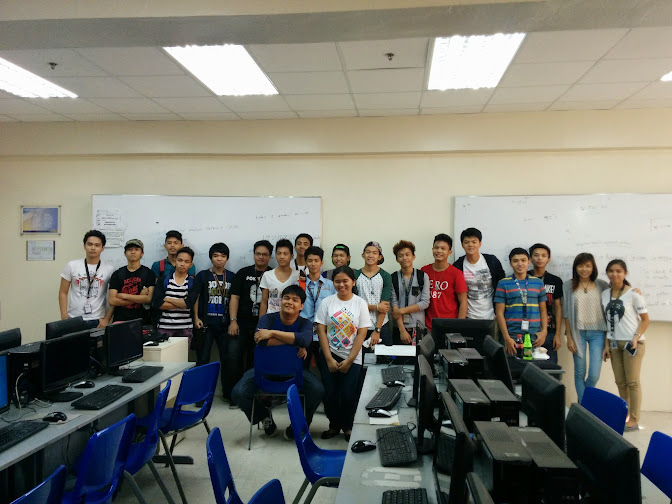 We conducted a GDG Campus Roadshow in ICCT Colleges- Cainta Campus on March 1. 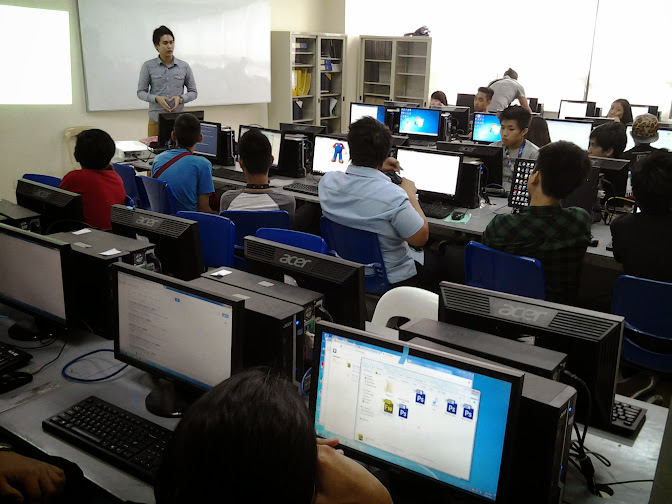 On March 5, GDG Philippines conducted a Google Maps API Workshop for Agencies. In celebration of the International Women's month, GDG Philippines organized Women Techmakers: Manila on March 8. Technical, non-technical and business topics were discussed by women speakers. There were also Dart and Android Code Labs in the afternoon facilitated by women. One hundred eight people attended the event, and more than 80 percent of the participants are women. On March 29, we had a Dart Flight School in De La Salle-College of St. Benilde. GDG Philippines is organizing a Women Techmakers: Manila event on March 8. The goal of the event is to empower women to pursue their dreams and build tools that will change the world. There will be talks from women speakers, and two Code Labs in the afternoon (Dart and Android). Details of the agenda is available at http://womentechmakers.gdgph.org. To signup for this event and/or to check details, visit the events website at http://womentechmakers.gdgph.org. In February 2014, our events were held in different schools near Manila. We went to Philippine Agricultural Youth Leaders' Summit and gave a talk about "Applications for Agriculture in the Modern World." We've had a Thesis Ideation Seminar and a Dart Flight School event during the ICS Technology Expo of University of Santo Tomas on February 11 and 12, respectively. We also had our Dart Flight School Manila on February 15 at De La Salle University, Manila. In cooperation with PhilRobotics, we also talked about Android and Arduino at the Polytechnic University of The Philippines Annual ECE Conference (February 18). 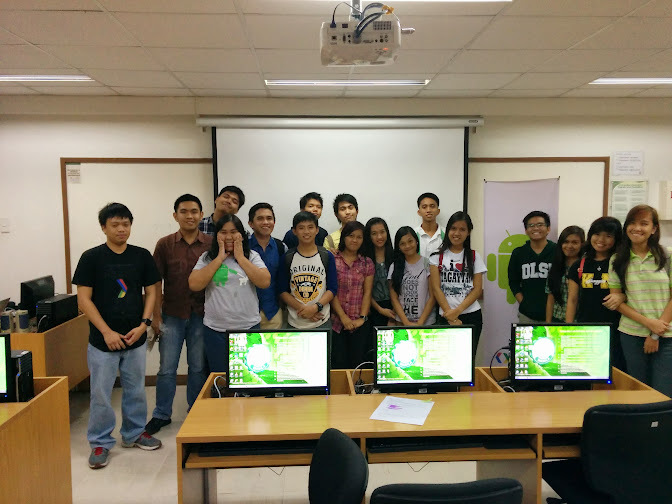 On February 22, we went to University of the Philippines -Los Baños for a GDG Campus Roadshow. We talked about Google Chrome, Google Maps API, Google Map Maker, YouTube API, and Google Programs for students. Add +GDG Philippines in your Google+ circles for updates on our next event. It's been a busy January 2014 for +GDG Philippines! On the 18th of the January, the team traveled three hours to the City of Gapan, in the province of Nueva Ecija, for a whole-day of fun and learning for Nueva Ecija Technologies @ Work: Student Developers Day. Students from different universities and colleges in Nueva Ecija went to Waltermart Gapan to learn about Innovations @ Google, Google Apps, Android, Basic Game of Development, HTML5/CSS, Google Maps API, and Google Map Maker. Then on the 24th and 25th, the community had a back-to-back GDG Campus Roadshow at University of Sto. Tomas (UST) and Manila Central University (MCU), respectively. In UST, we shared about Google Apps, Google Maps API, and the different programs of Google for college students. 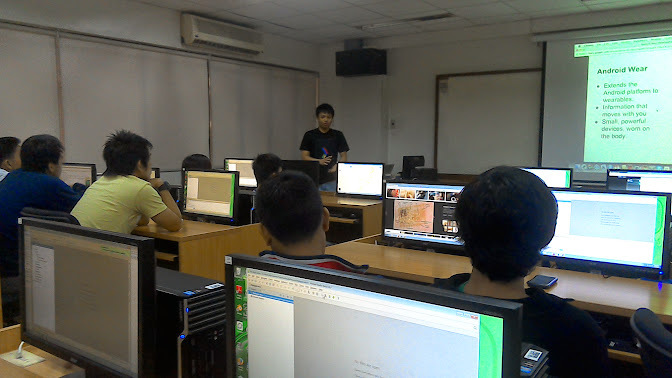 At MCU, we shared with the students Google Apps, Android, Google Maps API, and Game Development using HTML5. We even asked the students to pitch their winning idea during the end of the event, for them have an experience and overview of what's happening in the industry. It was a fun January sharing about Google technologies! Now, this coming February, +GDG Philippines is participating in the Youth Leaders Agriculture Summit to share about the latest in technology that may be used in agriculture. We're also going to have a GDG Campus Roadshow in University of the Philippines Los Banos (UPLB). We're also planning to have a Dart Flight School Manila. It will be another busy month for the Google developer communities in Metro Manila and neighboring provinces. Add +GDG Philippines in your circles to stay updated with our events. 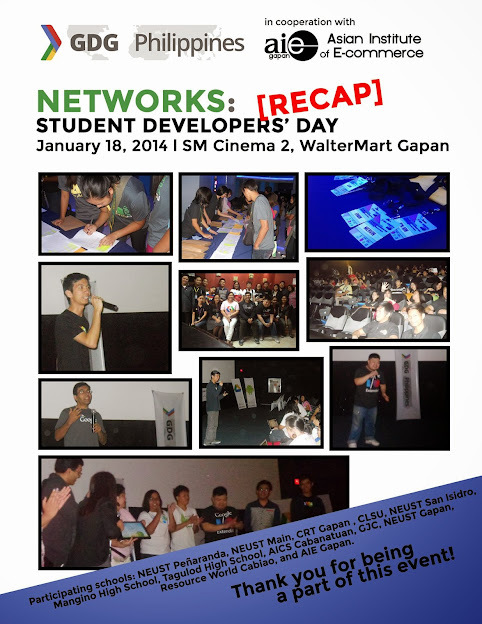 Last January 18, 2014, +GDG Philippines together with Asian Institute of E-Commerce Gapan Campus organized Nueva Ecija Technologies @ Work (NETWORK): Student Dev Day. It's a fun filled day for the 294 college students from different colleges and universities in Nueva Ecija who attended the event. GDG is coming to Nueva Ecija Banner in the streets of Nueva Ecija! The day started with a prayer and the National Anthem of the Philippines. Next is the welcome from the representative from AIE College of Gapan and from +Amit of Google. This was followed by the inspiring sharing of +Reymart Canuel (+GDG Baguio Community Manager) about the Innovations at Google. The next topic is Google Apps for Education and how students and teachers could maximize such technologies. Afterwards, +Jomar Tigcal shared about the basics of Android development followed by +Anne Michelle Santos who shared about the initiatives of +Globe Labs. 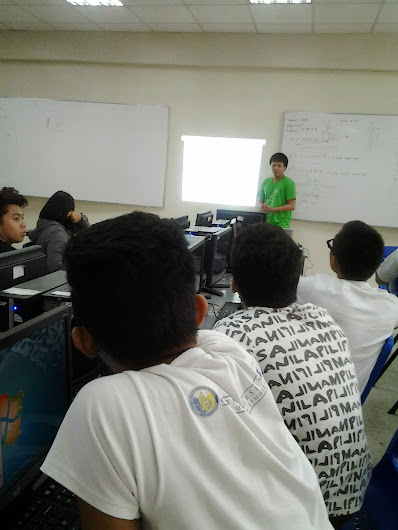 During the afternoon, +Alvin Edwald Chan explained to the students the dynamics and basics of game development. After which, +Wilson Censon briefly explained to the students HTML5. This was followed by +Wayne Manuel's Google MapMaker and Google Maps API session. To end the long fun day, +Chelle Gray shared about the different initiatives of Google and Google Developers Group to the community. Thank you so much AIE College of Gapan for organizing an event for the students and teachers in the province of Nueva Ecija. Thank you +Globe Labs and +Google Developers for the support to the local developer community. Follow +GDG Philippines in Google+ to get updated with our latest events! After the successful GDG DevFest Women Philippines 2013, GDG Philippines is organizing another DevFestW this year. To help us plan the event, please fill up (and share) the form at https://docs.google.com/forms/d/1CN5HEErdYhB_SWbQTvl90FPbF3fjCxJEXURc5SvxxHI/viewform. More than 2 events where we gave talks. And, as early as November and December, we already have planned some events for the first quarter of 2014. If you're a student and you're interested in a Student Developers Day, fill up and share form at http://studentdevday.gdgph.org/. We're also planning to have GDG DevFest, GDG DevFestW, more Code Labs and workshops and more meetups. For updates on our next events, add GDG Philippines Google+ Page in your Google+ circles.